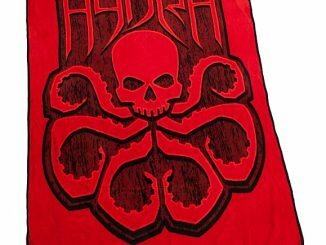 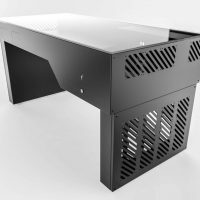 For the ultimate PC battlestation, you need this Hydra Desk Computer Case Desk. 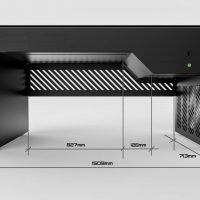 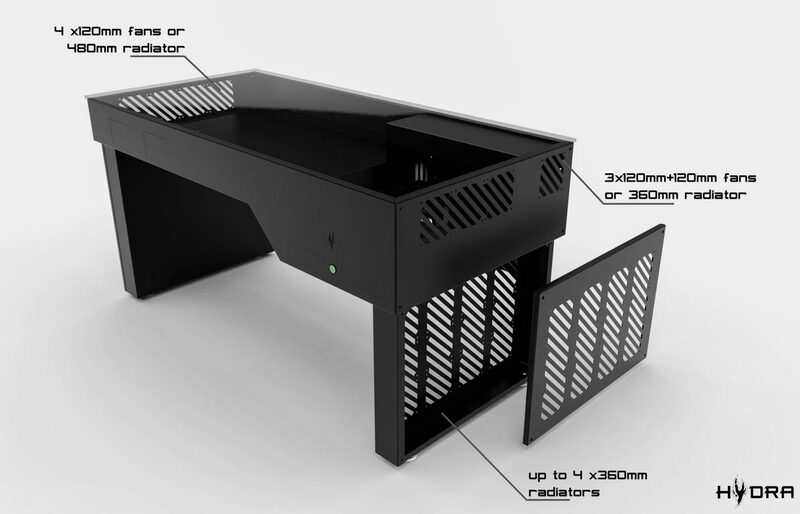 Constructed of aluminum, the base of the desk can hold up to two full computers, and with space for up to 6 radiators, these can be high performance computers that require extensive cooling. 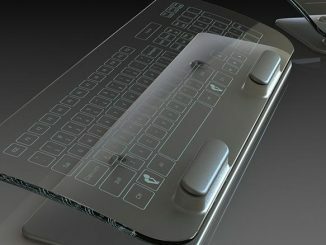 The surface of the desk is 8mm thick tempered glass, providing a solid work surface while still allowing you to see your dazzling hardware. 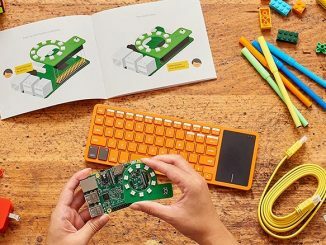 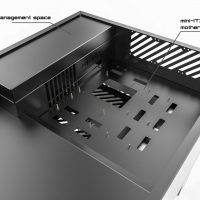 When PC enthusiasts build a computer, form is almost as important as function. 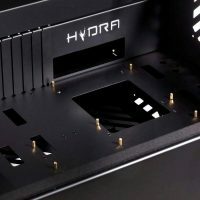 Sure, technical aspects like CPU generation, GPU model, clock rates, and CAS latency are important, but so are RGB lights and cable management. 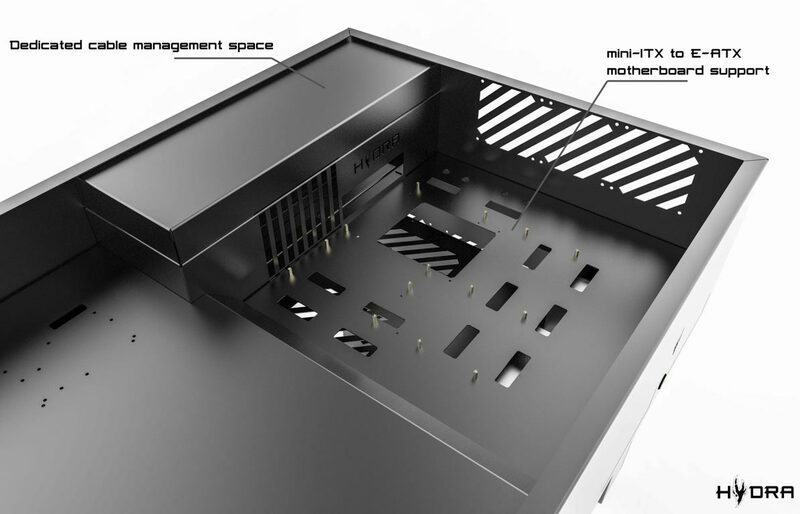 Liquid cooling is added because it is effective, quiet AND looks cool. 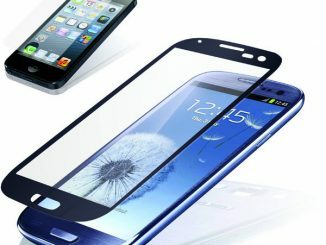 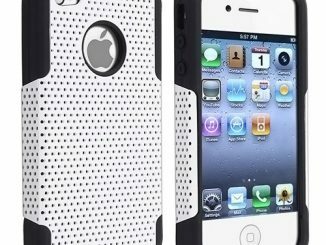 Your case has glass panes so you can see the beautiful hardware inside. 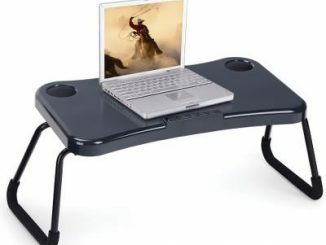 Yet you can’t put the computer on top of the desk, because it’s in the way, and if you put it under the desk you cannot see it. 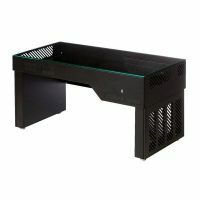 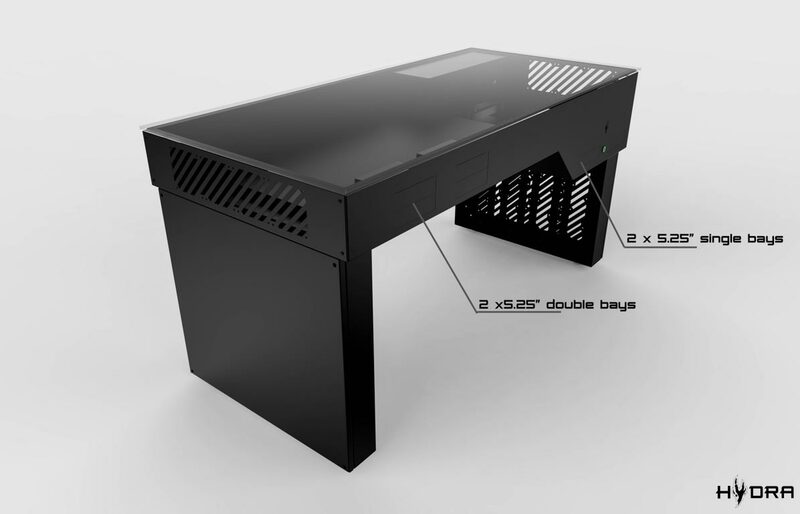 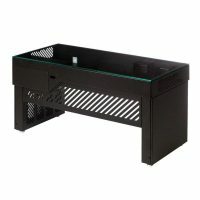 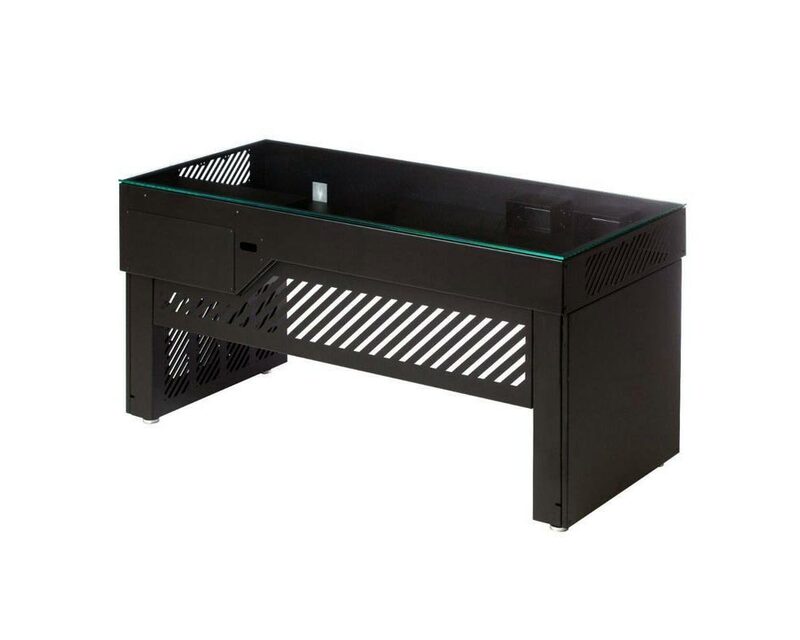 Hydra Desk is the solution, as the computer is inside the desk under a tempered glass top. 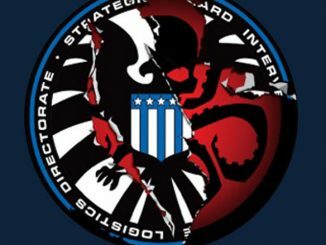 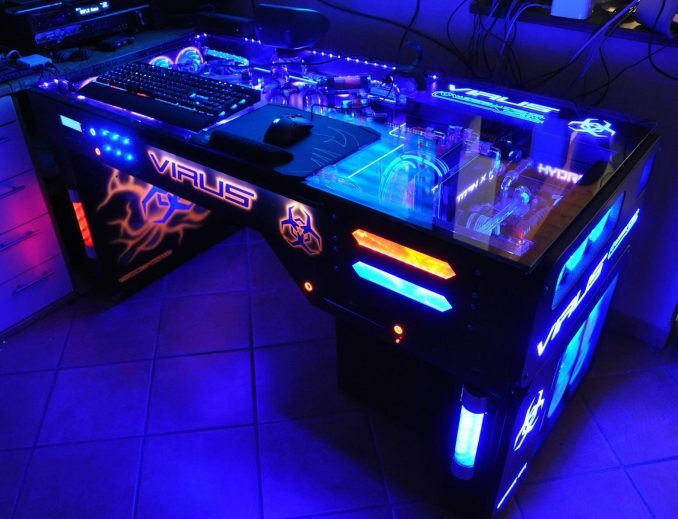 Above is a picture of the “Virus” mod of a Hydra Desk completed by Yuri Gabrielli. 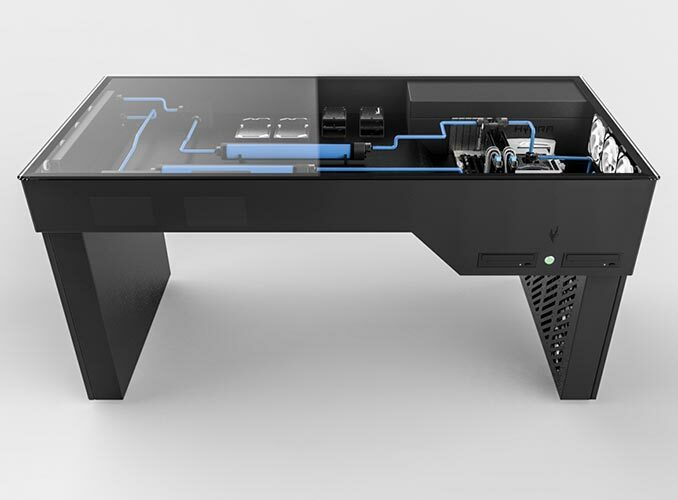 It gives you an idea of what you can do with this PC case desk. 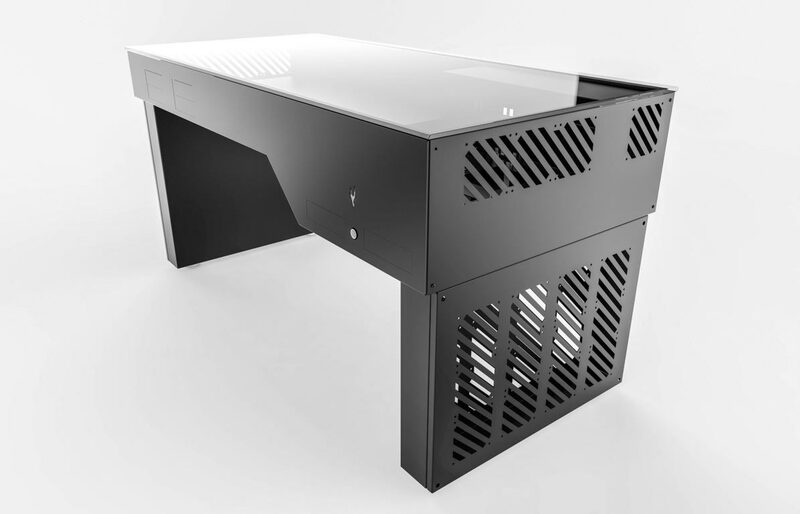 The Hydra Desk is our flagship desk case – it’s solid and lightweight aluminum structure come assembled in 3 parts, allowing to be get building within minutes of receiving the Desk! 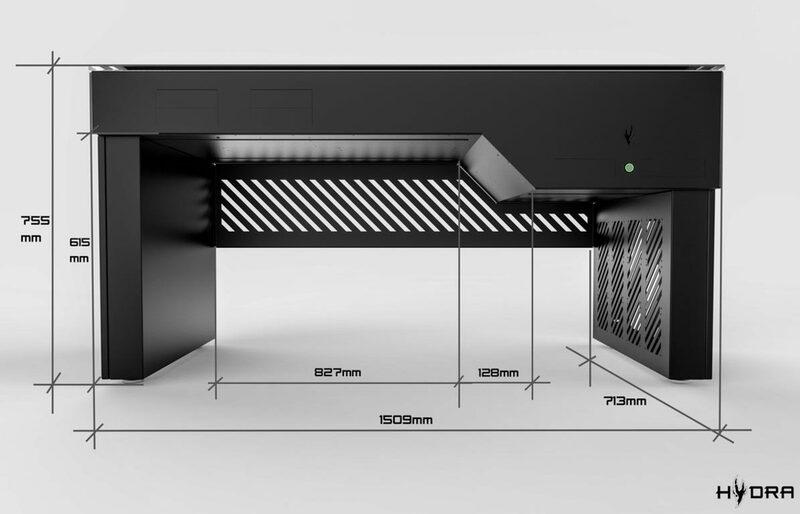 the 8mm thick tempered glass ensures full visibility of your rig, while protecting it from outside factors. 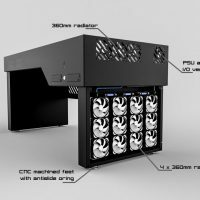 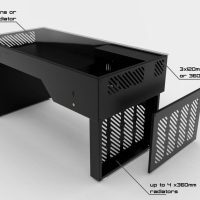 It’s unique design, that positions up to 4 radiators in the right leg, allows for the most advanced watercooling systems to date in any desk case, allowing you to cool up to 2 full PC systems and mount up to 6 radiators, keeping your PC at the lowest possible temperature at all times! 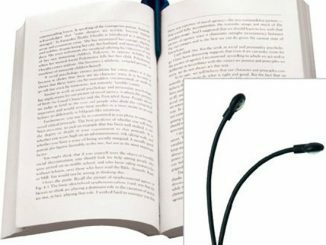 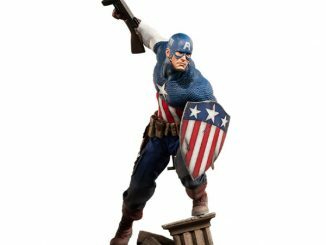 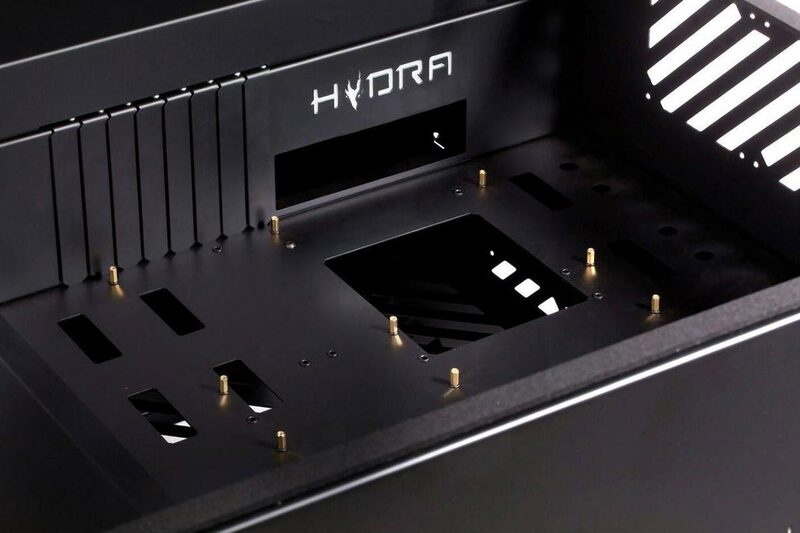 Hydra took great care in every detail – from ease of access, internal components, and cable management, to material quality to expand-ability and ease of assembly of your rig, to create a product that has no rivals on the market. 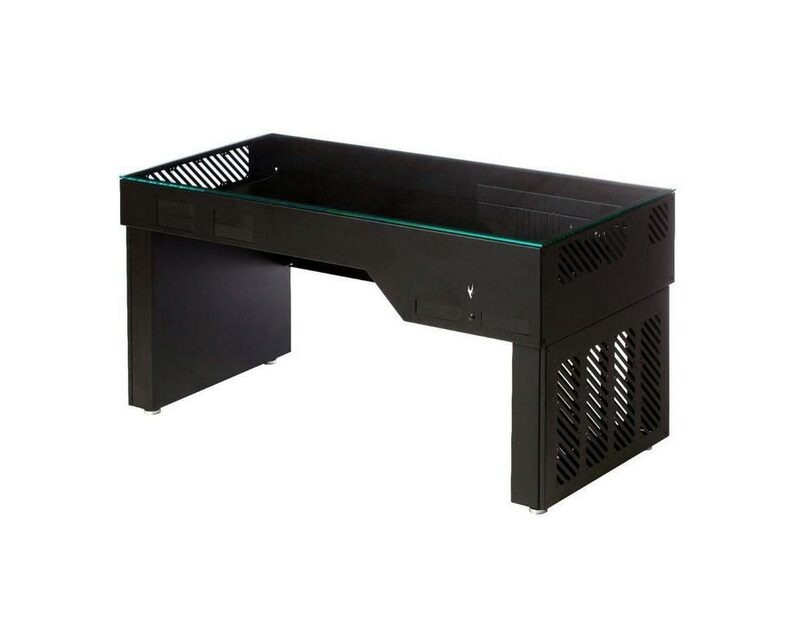 Buy the Hydra Desk for $1,300 from Newegg. 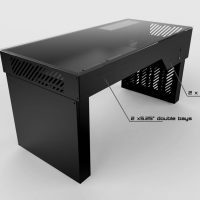 This USB-powered foldable computer desk features a built-in speaker system for your laptop or portable audio device and sports two quiet fans to keep your computer cool.